The ‘Groene Hart’ (Green Hart) is a large open area between the Netherlands’ four largest cities Utrecht, Amsterdam, Den Haag and Rotterdam. 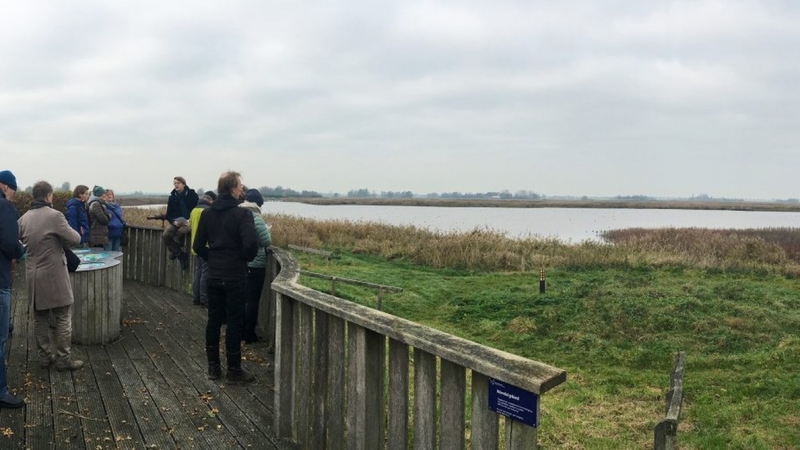 Last week, the research-by-design project was launched with an excursion, in which FABRICations, together with Buro Sant and Co, will study how soil subsidence, the water system and the energy transition will shape this area in the future. The design research, will be carried out on behalf of the Provincial Advisors on Spatial Quality of the Zuid-Holland, Utrecht and Noord-Holland and the Stuurgroep Groene Hart. The apparent immutability of the Green Heart as a culturally and historically valuable polder landscape is under pressure. Besides the ever apparent urban pressure, the rising sea level, a subsiding soil caused by peat oxidation and the consequences of climate change have major impact on agriculture and the related water system. Current water management results in damage to foundations, homes and infrastructure, a significant CO2 emission from peat oxidation and, related to this, rising costs for climate adaptation. This leads to problems for both urban and rural areas and puts pressure on spatial-economic and social developments. The Groene Hart area represents a fundamental sustainability challenge. The design team is ambitious and proposes an adaptive landscape in which land subsidence has stopped, CO2 is stored, agriculture is circular and self-sufficient and biodiversity is increasing considerably. The aim is to develop building blocks in which each development contributes to a transformation of the Green Heart. The design research will result in a long-term perspective, showcasing potential transformations in a conceivable and seductive way. For this project, FABRICations and Sant en Co are committed to working closely with four knowledge institutes: Wageningen Economic Research (WER), the Netherlands Environmental Assessment Agency (PBL), Veenweiden Innovation Center (VIC) and Stichting Toegepast Research Water Management (STOWA).